Greetings Cat Lovers, it's me, Pita cat! I'm pleased to bring you our Love Cats Digest, fourth ezine! We sincerely appreciate your support in making this website a great community for cat lovers. We also would like to thank our guest writers for their wonderful contribution! 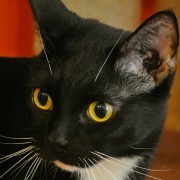 We, at MustLoveCats.net, are very excited about sharing the fourth issue with you! (1) What's New Pita Cat? (4) Is Your Cat Alone All Day? Well, as you may noticed, we were not able to publish our ezine since last January (things been crazy busy over here). Not to worry, our 2014 ezines are scheduled to be delivered on time! This past few months, our muse, Pita cat was pretty busy developing new relationships with communities, such as Twitter, Facebook, Google+, Blogger, Blogster, Pinterest, and more. Last August, we were invited to express our opinion on In The Know, The Hill's gossip blog. Read the full article "Feline lovers to Obama: Time to get a cat." We recently partner with an online marketing company - Revamp Strategies, to gain more exposure among pet communities and social media. Our goal is to share our passion and information about cats with cat lovers everywhere! We got invited to join the 2014 Kitten Bowl! Pita certainly is not a kitten anymore, and quite honestly, she is a little out of shape. However, she will be cheering for all the great felines that entered to the game! This inaugural three-hour special event, in Association with North Shore Animal League America, will be hosted by TV personality and activist Beth Stern, and emceed by John Sterling, the legendary radio voice of the New York Yankees. A couple of our readers asked us if giving treats to their cats could make them sick. Well, giving your cat a little something special from time to time is not going to do him any harm. However, there are a couple of things to keep in mind. •	Everything in moderation. Treats, whether purchased from pet stores, or homemade can't be the only source of food for your pet. Also, if you are giving your cat too many treats between meals, this certainly will contribute to overweight. 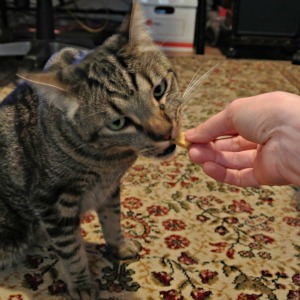 We love to give our cats treats, this is a wonderful way to bond, train and reward. For a healthy cat, make sure the majority of his/her food is of high quality, complete, and balanced. •	Be aware of foods that can harm your cat. There are several human foods, other pets' food, and plants that can harm your cat's health. Read more about cats and harmful substances. 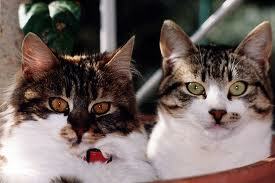 •	More information about cat treats and homemade cat treats. Is Your Cat Alone All Day? Some people may think that just because cats are independent, they are fine being left alone all day. 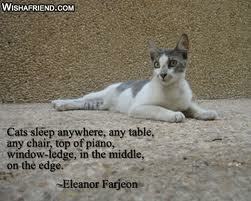 There are some truth to this statement, however, cats need some sort of entertainment throughout the day. The ultimate cat toy for your pet while you're away is another cat. You can buy toys, but like any other cat, your cat will play for a way and push it under a furniture and forget about it. Other times they get bored with the toys they have simply because it doesn't play with him/her. By having two cats, they will keep each others company and entertained. Article continue, benefits of having multiple cats. Are you ready for the holidays? 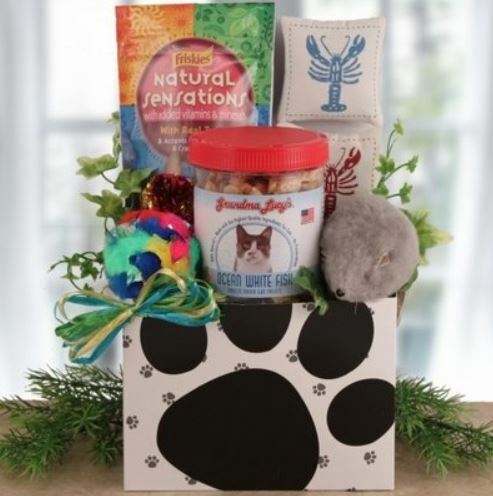 Looking for the purrrfect gift for your cat, or for a cat lover? We gathered the best gift for you! That's all for this issue, until next time! Wishing you all a MeoWonderful and safe holiday season!